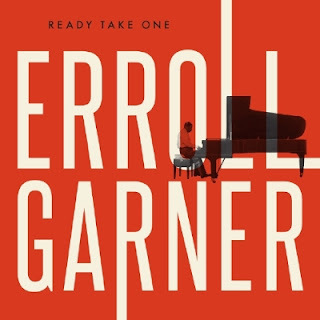 Legacy Recordings, the catalog division of Sony Music Entertainment, and Octave Music Licensing LLC, curators of American jazz legend Erroll Garner's archival recordings, announce the release of Garner's Ready Take One on Friday, September 30. A new album of 14 previously unreleased studio performances by Erroll Garner and his backing musicians--drums (Jimmie Smith, Joe Cocuzzo), bass (Earnest McCarty, Jr., Ike Isaacs, George Duvivier, Larry Gales) and percussion (Jose Mangual)--Ready Take One is comprised of tracks recorded during seven extraordinarily productive sessions in 1967, 1969 and 1971. The New York Times just premiered "Wild Music," a new original track from the album, which can be heard here: http://smarturl.it/Erroll_WildMusic. Ready Take One features six previously unreleased original Erroll Garner compositions--"High Wire," "Wild Music," "Back To You," "Chase Me," "Latin Digs," and "Down Wylie Avenue"--alongside Garner's swinging interpretations of a variety of jazz and pop standards including "I Want To Be Happy," "I'm Confessin' (That I Love You)," Bobby Hebb's "Sunny," Duke Ellington's "Caravan" and "Satin Doll," Cole Porter's "Night and Day," "Stella By Starlight" and a passionately rendered version of Garner's own "Misty," one of the most-often-covered jazz compositions of all-time and the most-requested number in Garner's repertoire, recorded for this album on May 28, 1969 in Paris, France. Recorded during an especially prolific creative period running from 1967-1971, all 14 songs found on Ready Take One are previously unreleased and only recently restored after nearly 50 years on acetate. Drawn from these sessions at Universal Recording in Chicago (November 28-29, 1967), Capital Studios in New York City (October 7, 1969) and RCA Studios in Manhattan (April 27, June 22 and December 2, 1971), Ready Take One finds Erroll Garner in the studio with his road-tested band and longtime manager Martha Glaser, firing off some of the most memorable performances of his career. For the first time, listeners are given a glimpse behind the studio doors, with rare insightful conversational tidbits between Garner and the group included between many of the songs. Glaser, known for her progressive guidance of Garner's artistic and commercial interests, is heard here in producer mode, slating takes and joking with Garner over the control room talk-back mic. As album producer Geri Allen writes, "a kind of fifth member of the band, Glaser would support Erroll Garner in the moment of the creative act." Indeed the title of the album comes directly from Glaser's steady refrain of "Ready Take One." The first new Erroll Garner studio album to be released in nearly a quarter century, Ready Take One is the worthy successor to Legacy/Octave's first Garner release, 2015's critically-acclaimed Grammy-nominated The Complete Concert by The Sea, which debuted at #1 on the Billboard Jazz chart. Ready Take One is the first studio album from the extensive Octave Music catalog of previously unreleased Erroll Garner recordings and compositions. Garner recorded the top-selling outdoor jazz concert album of all time, Concert By The Sea, in 1955; in 1957, became the first jazz soloist to win The Gran Prix du Disque in Paris, France; in 1959, was the first musician to play a solo jazz concert at Carnegie Hall, turning away more than 7000 people; and was given his own star on the Hollywood Walk of Fame (at 6363 Hollywood Boulevard). Garner popularized jazz for millions all over the world with record breaking concert tours, and at the height of his career, was credited with developing the first completely original piano style since Art Tatum. With his completely distinctive, immediately recognizable and highly influential compositional and performance gifts, Erroll Garner was compared by critics to artists as diverse as Claude Debussy and Fats Waller. Sadly, and somewhat inexplicably, since his death in 1977, Erroll Garner's artistry, enduring musical legacy and immeasurable contributions to the evolution of 20th century American jazz in the 20th century have been overlooked too often by contemporary audiences. With albums like Ready Take One, The Complete Concert By The Sea and future titles in the works, Legacy Recordings and Octave Music are reintroducing the music and genius of Erroll Garner to the world, bringing the abiding magic of his sounds to whole new generations of fans. On June 15, 2015, the estate of Martha Glaser, Garner's longtime manager, announced the formation of the Erroll Garner Jazz Project, a major new archival and musical celebration of Garner. The project includes the donation of the Erroll Garner Archive--a huge trove of newly discovered historical material from Garner's life--to the University of Pittsburgh.